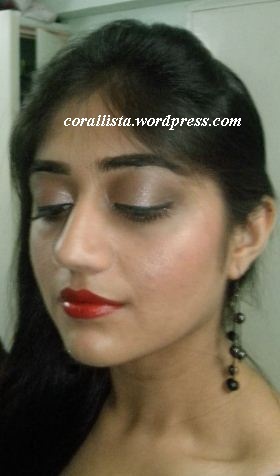 Last time I did a simple golden party look (click on link to read post) which would pair very well with ethnic outfits. 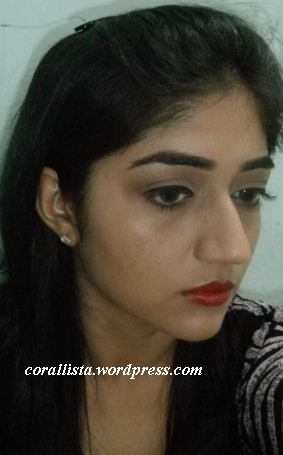 Today I’m doing a bold lips with shimmery eyes party look with my favorite red lipstick Revlon Colorburst ‘Crimson’ and MAC ‘Jigs and Jive’ pigment. This look would look great for evening parties paired with a western outfit. 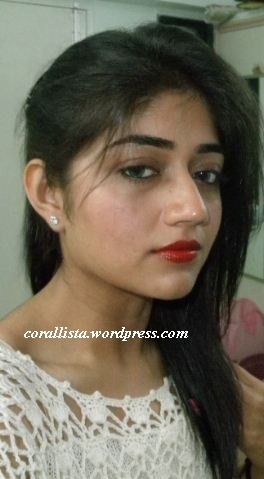 Red lips always take up the glam factor up a notch and are a perfect choice for party looks. The eyes are kept softly shimmery with champagne-tan shimmery eyeshadow with slightly thick winged liner on upper lash line and bare waterline. I’ve paired this makeup with a black lace-satin knee length dress with red sandals and red nails to match with the red lipstick. 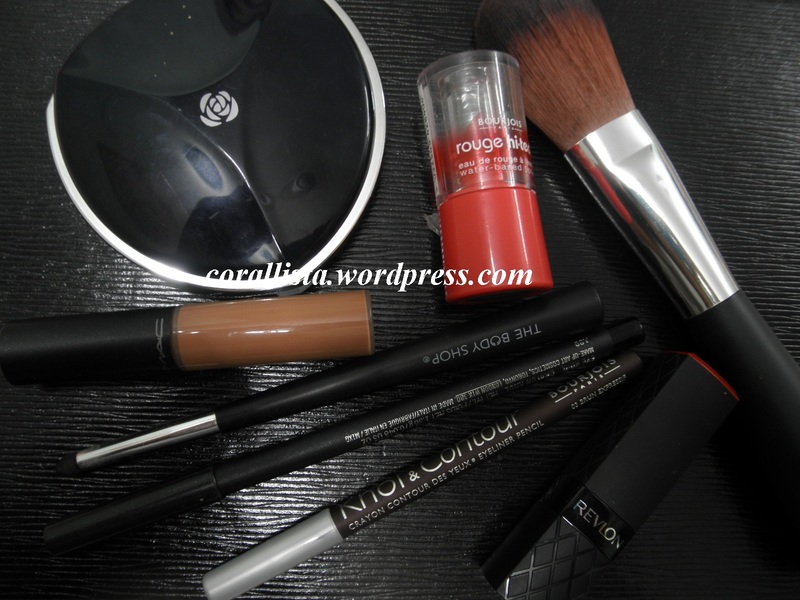 On a well moisturized face, conceal required areas, apply foundation and set with powder. For the eyes, apply shimmery champagne eyeshadow all over lid, blend at crease with dark brown matte eyeshadow, apply highlight shade under brows, apply winged liner on upper lash line and finish with mascara. For the cheeks, apply matte earthy pink blush under the cheekbones and on the apples of the cheeks and finish with highlighter on cheekbones. 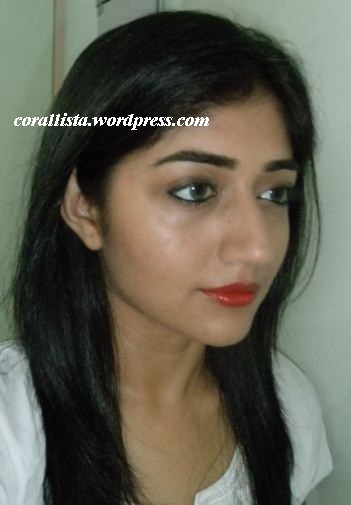 Apply red lipstick using lip brush for precision. 1. Apply concealer under the eyes and on the lids, blend well and set with powder. 2. Apply shimmery tan-champagne colored eyeshadow all over lid. 3. Apply matte dark brown eyeshadow at the outer corner and crease and blend well with loose powder. 4. Apply highlight shade under browbone and blend with crease. Apply highlight shade on inner corners of the eyes too. 5. Apply medium thickness slightly winged liner on upper lash line. 7. Finish with a coat of volumizing mascara. 1. Apply concealer on required areas. 2. Apply foundation on face and neck and blend well. 3. 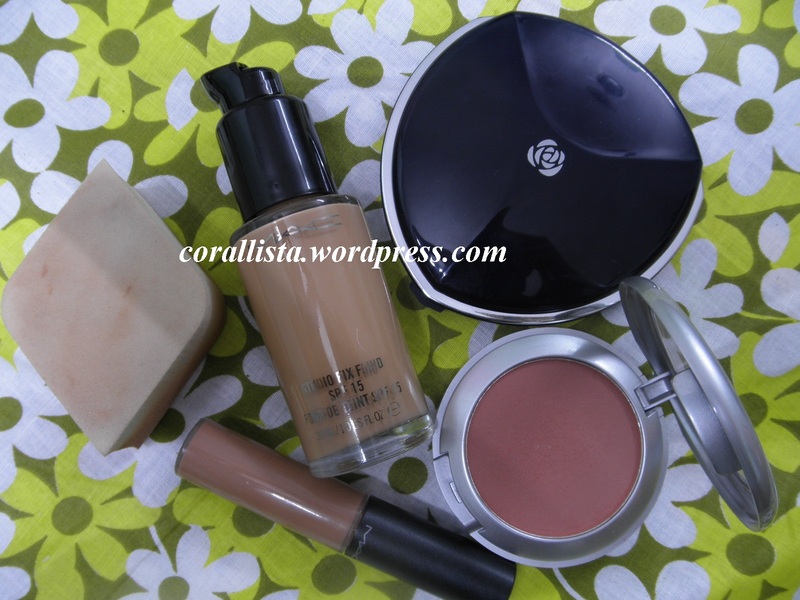 Set the foundation with compact powder. 4. 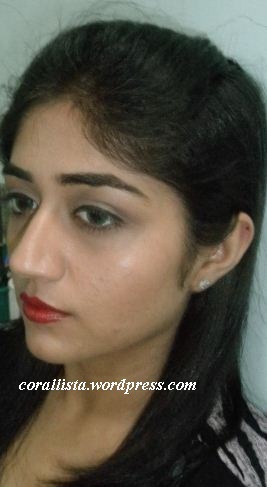 Apply earthy pink blush under cheekbones and blend upwards and outwards towards the apples of the cheeks and hairline. 5. Apply MAC Naked pigment (or any other shimmery highlighter) on cheekbones and blend towards hairline. 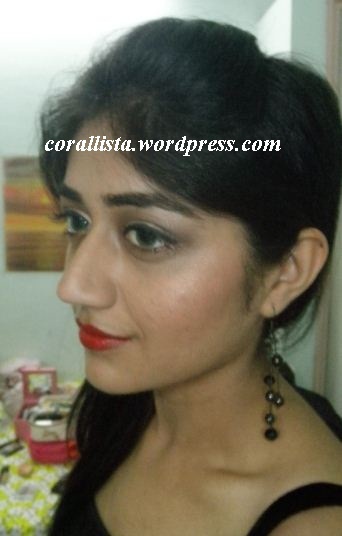 Apply red lipstick (I have used Revlon Colorburst ‘Crimson’) on lips using lip brush for precise application. I have not used a lip liner underneath since this particular lipstick does not feather or bleed. Whats you favorite party makeup look ? Let me know your comments by replying below. Today I’m doing a contoured eye-bold lip look inspired by the look given by Revlon’s Gucci Westman for the Luca Luca show at New York Fashion Week. See the Luca Luca Look HERE. On a moisturized face, conceal required areas and apply full coverage foundation on face and neck. Blend well and set with powder. For the eyes, apply matte neutral eyeshadow all over lid and darker eyeshadow in crease and outer corner to define and contour the eyes, apply black liner on upper lash line , smudged brown pencil/eyeshadow on lower lash line and mascara on lashes. Define brows with dark brown eyeshadow. 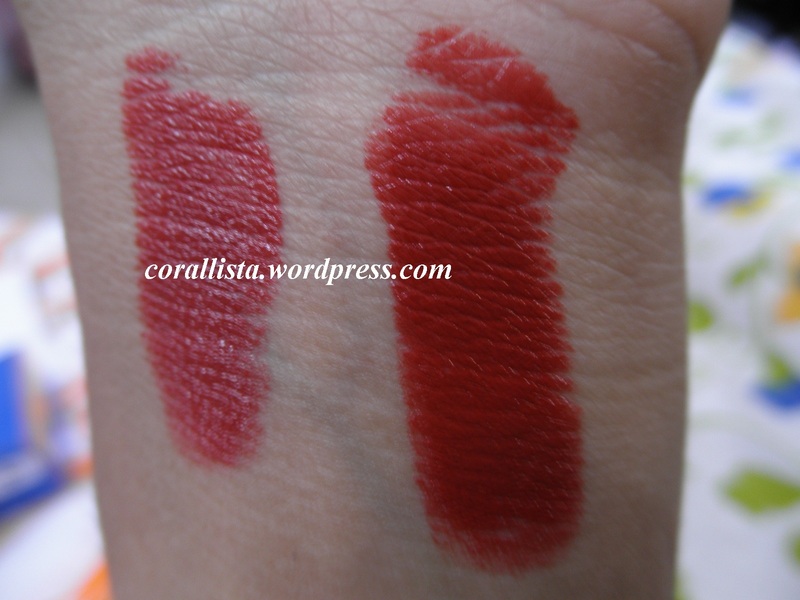 Fill in the lips evenly with the bold lip color with a lip brush. This is my first attempt at contoured eye and I haven’t used too much product in crease to prevent a harsh look. 1. Apply concealer on under eye and lid area and using third finger blend well. 2. 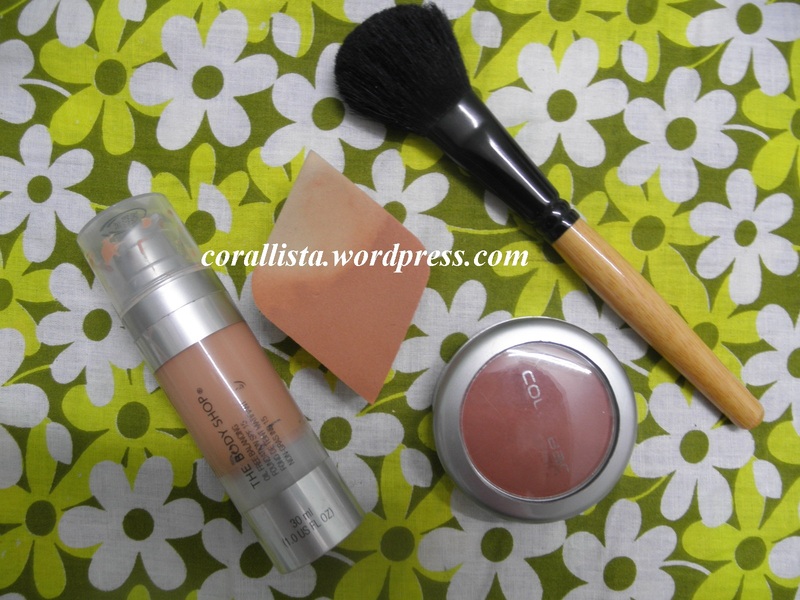 Set concealer with powder. 3. 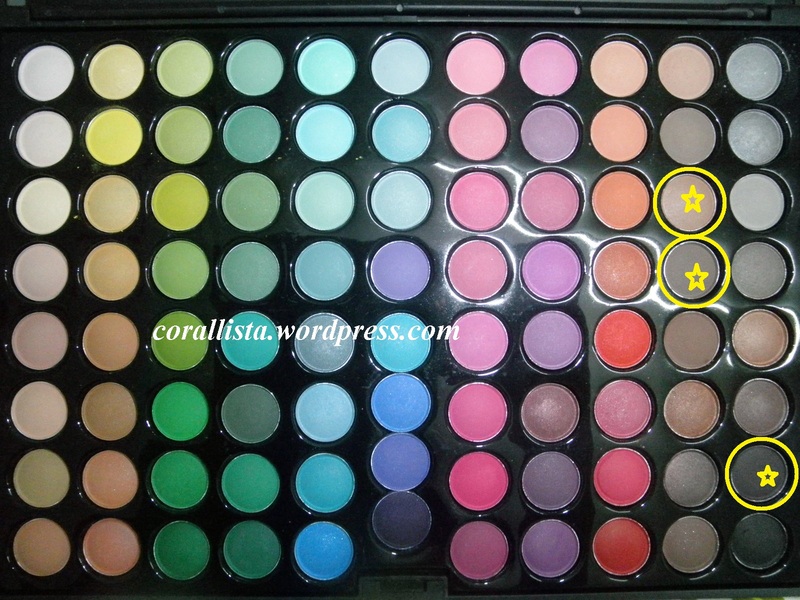 Apply neutral eye matte eyeshadow (top most marked shade) over entire lid. 4. Apply second shade (light brown) in crease and blend well. Apply on lower lash line and blend. 5. Take darkest shade (grey-brown right bottom shade) directly on blending brush and blend in crease. 6. Apply even line of black liner on upper lash line. Do not wing it out. 7. 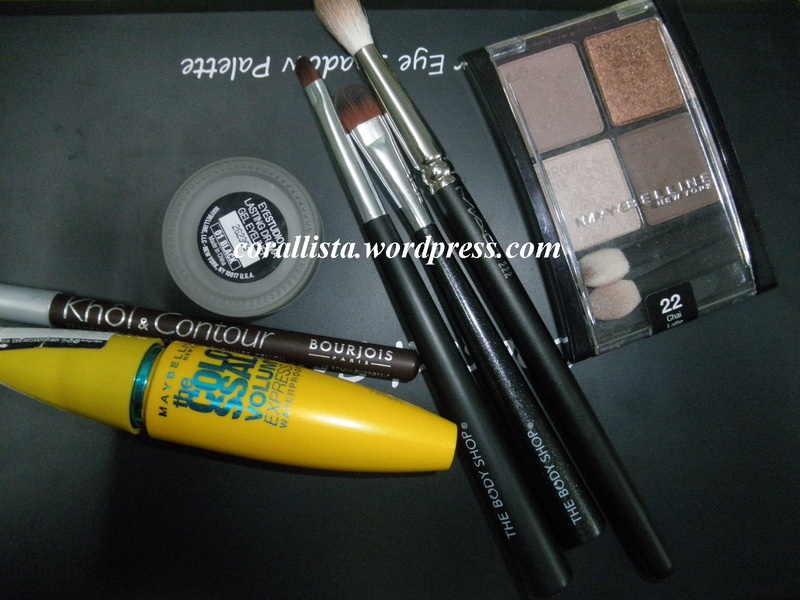 Apply brown pencil slightly on lower lash line and smudge with brush. 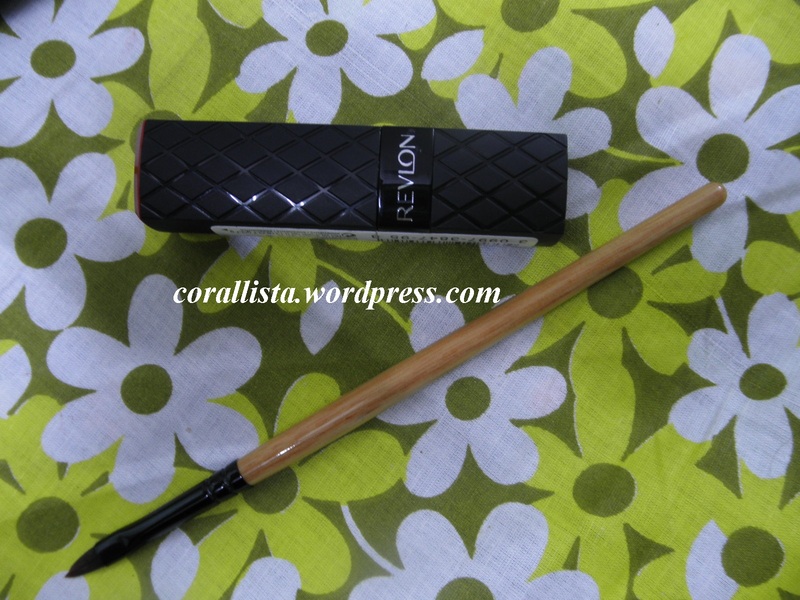 Leave the waterline bare or apply flesh toned pencil. 9. 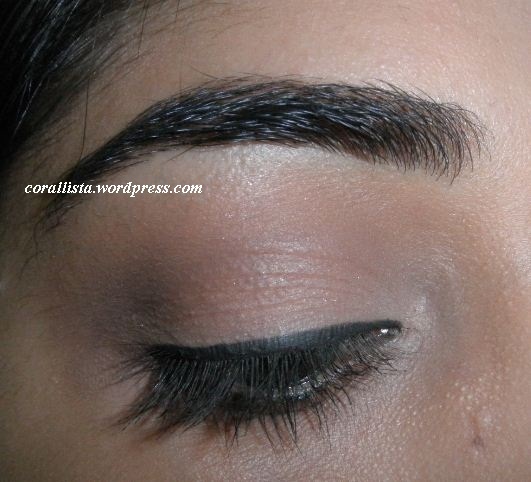 Define and fill in eye brows with matte dark brown eyeshadow. 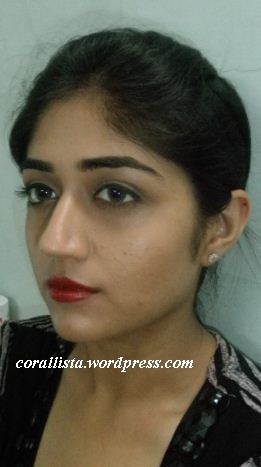 Do you wear contoured eye- bold lips combo? Let me know your comments by replying below. I’ve been doing more of subtle look lately so here’s a bold lips look with what else but the classic choice for bold lips..RED! 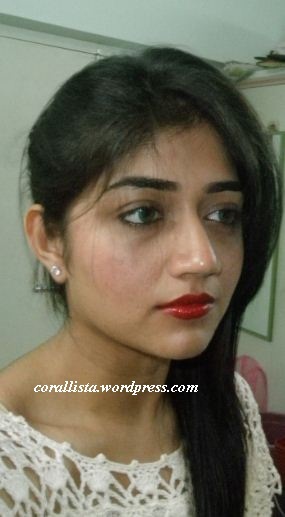 Bold lips in everyday wear look good with subtle eye and face makeup. 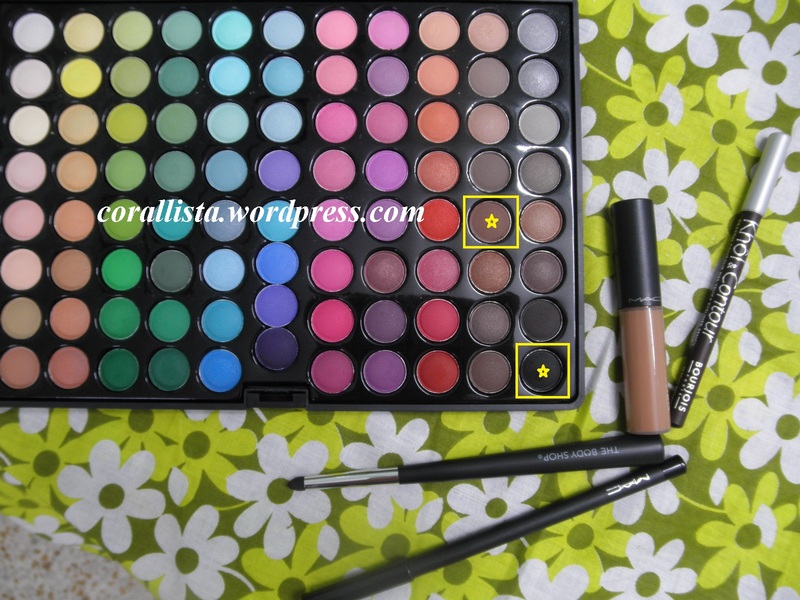 It also makes a good combination with softly smoked eyes for a runway or themed look. Pair with neutral colors in clothing and accessories for best effect or at the maximum match with 1 piece of your attire- say shoes or belt or bag. 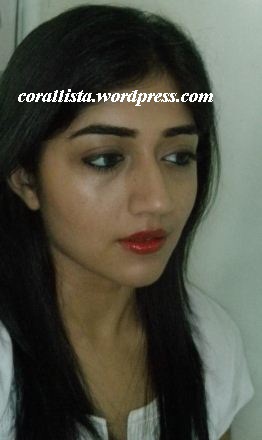 Read my bold red lips tutorial HERE. On a well moisturized face, conceal required areas, apply light foundation ( I have skipped foundation here) apply reddish cheek tint on the apples of the cheeks with a light hand. Set with compact or loose powder. Alternatively , if using a powder blush, apply compact first and then apply blush. 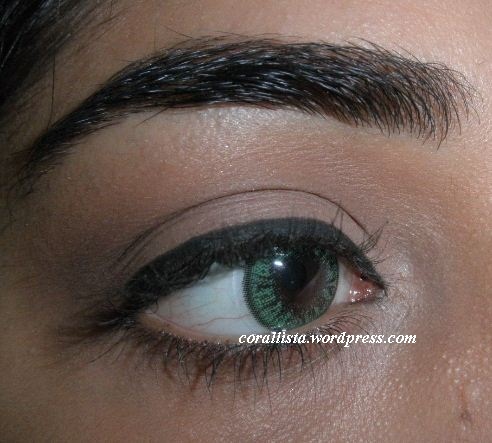 For the eyes, lightly smudge brown eye pencil on lid close to upper lash line and kohl on water line. 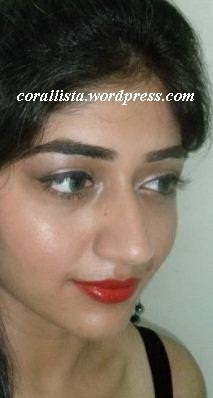 Apply suitable base on lips ( lip liner, concealer/foundation) and apply red lipstick using brush for precise application. This look has been converted from casual day time look to a dressy party look just by addition of the red lipstick and a change of attire and accessories. 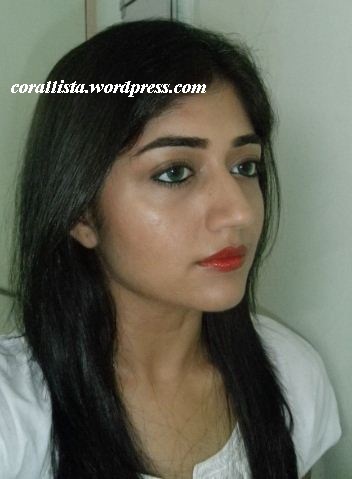 Do you like sporting the classic red lips ? Which is your favorite red lipstick ? Let me know your comments by replying below.